Many of you may have picked up on the fact that I like games. I work on gaming activities of all sorts. Some games have always been kind of on the outside of what is popular. Tabletop role-playing games such as Dungeons and Dragons ™, Pathfinder™, Call of Cthulhu™ based on Lovecraft, and others are games where you take the part of a fictional character in a fictional setting along with one or more other people and follow rules (from a book usually but increasingly available online) to tell stories together. It is a geeky thing. It is a fun thing if you have the right people and the right stories! There are other benefits to tabletop role-playing and these are why I suggest it to anyone the least bit interested. You are with a group of other people, often with different ages and perspectives. Role-playing games have both the casual interaction of a group hanging out and the formal interaction of following rules together. Socializing with others in hopes of having fun means making friends with different outlooks than you might have. This is a big one. Taking on the role of a character, making decisions, thinking up things to say in a timely manner that effect other characters and the setting help you build self-confidence that applies outside the game. Your actions matter in the game and they matter in real life. Mistakes and bad luck happen, but you can work through issues with communication and teamwork. 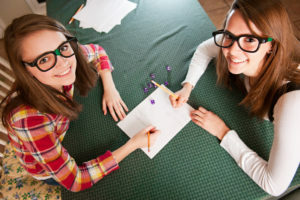 Computer games, board games and tabletop role-playing games all rely on math for figuring out whether something is successful or not. Tune up some basic math and often some intro-level algebra, but for fun. After all, you need to figure out just how much damage that jagged, electrified axe does to the villain… whether the extra sonic boom goes off or not. Tabletop role-playing involves spending time thinking about the consequences of the actions your character takes. Especially when those actions may be nothing like the actions you would take in real life. Trying to fit those actions into a character with its own background, experiences and drives lets you think about different motivations and perspectives. Putting yourself in another mindset helps you be more flexible with others outside the game. These are skills that are helpful for everyone. Tabletop role-playing can help you learn to live your best life. 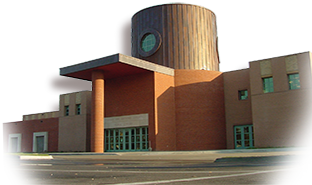 I work as the Teen and Young Adult Librarian where I can put my wide range of experiences to use helping patrons find what it is they're looking for. I read Fantasy, Science Fiction, Graphic Novels, Mythology, and more! I have gone backpacking, small-boat sailing, built a computer, worn a costume to an anime convention, and played all sorts of games. Posted in Gaming, Teens and tagged role playing, teen.